Cashmere Travel Neck Cushion from Plum & Ivory. 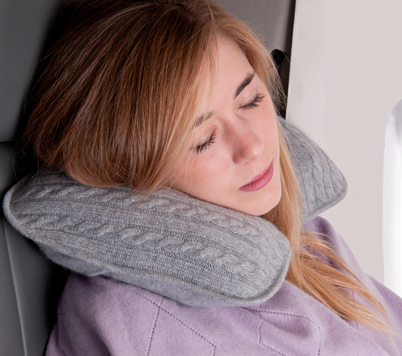 Part of our luxury cashmere travel accessory range, this neck cushion is the ultimate aid for a comfortable sleep on any journey. 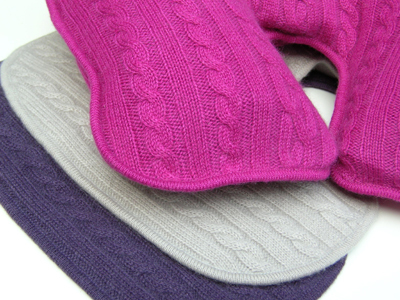 Available in 100% cashmere, this cashmere travel neck cushion has been designed by Plum & Ivory with luxury in mind. For comfort: the ultimate travel accessory has to be a cashmere covered travel neck cushion to aid a comfortable sleep on your journey. 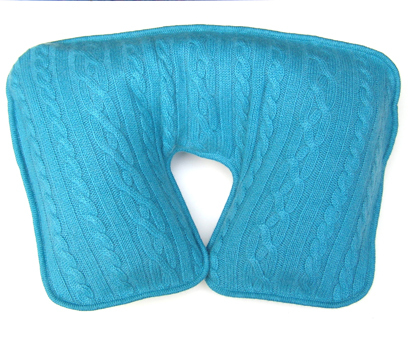 Includes a u-shaped inflatable travel pillow, which has all the benefits of saving space when deflated, but the cashmere cover makes the feel of the travel pillow luxurious when in use.You will soon wonder how you managed to survive without one.